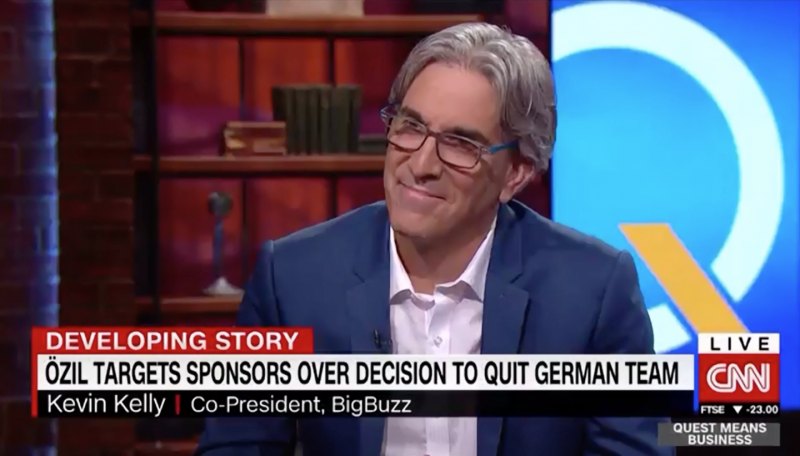 Bigbuzz President, Kevin Kelly was featured live on CNN with Richard Quest to discuss the branding & sponsorship implications of the resignation of Germany's star soccer player, Mesut Ozil. They talked about Ozil’s sponsors such as Mercedes Benz that did not support him during this Turkish racism scandal, calling their actions “crisis management”. Kelly brings up the importance of courage to stand by values from a brand perspective.